I finally got round to using my Neptune eyeshadow from Makeup Geek. I love bright colours but on a day to day basis I never reach for them which is probably why I've put off trying this eyeshadow for a long time. I was inspired by a makeup tutorial video that makeup artist Karen Gonzalez (iluvsarahii on instagram) did a while ago (link here). After priming my eyelids with MAC Prolongwear concealer and setting it with a cream coloured eyeshadow, I blended Makeup Geek eyeshadow in the shade Creme Brulee into the crease using a MAC 224 brush. Then I used a MAC 217 brush with Makeup Geek eyeshadow Frappe and focused this more into the crease itself and also used this shade all over the lid. Next I used a MAC 210 brush and Morphe gel liner in the shade slate to do a bold winged liner to bring the eyeshadow look together. For the bottom lashline which was the main focus of the look, I used the Makeup Geek eyeshadow in Neptune wit a MAC 219 pencil brush and smudged it from the outer corner of the lower lash line to the inner corner. 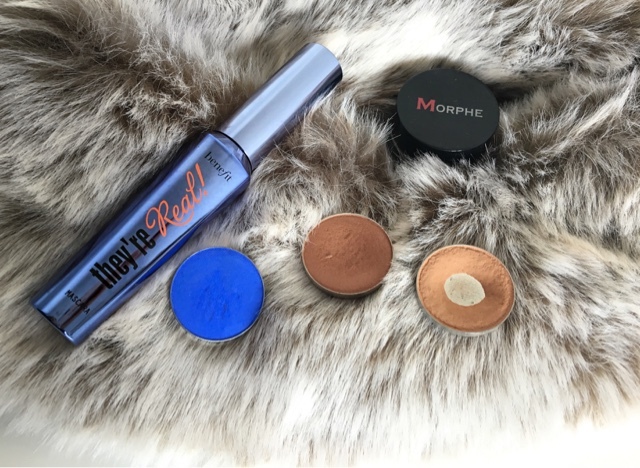 I also used this eyeshadow in the waterline and to finish off the look I used the Benefit They're Real mascara in Beyond Blue. 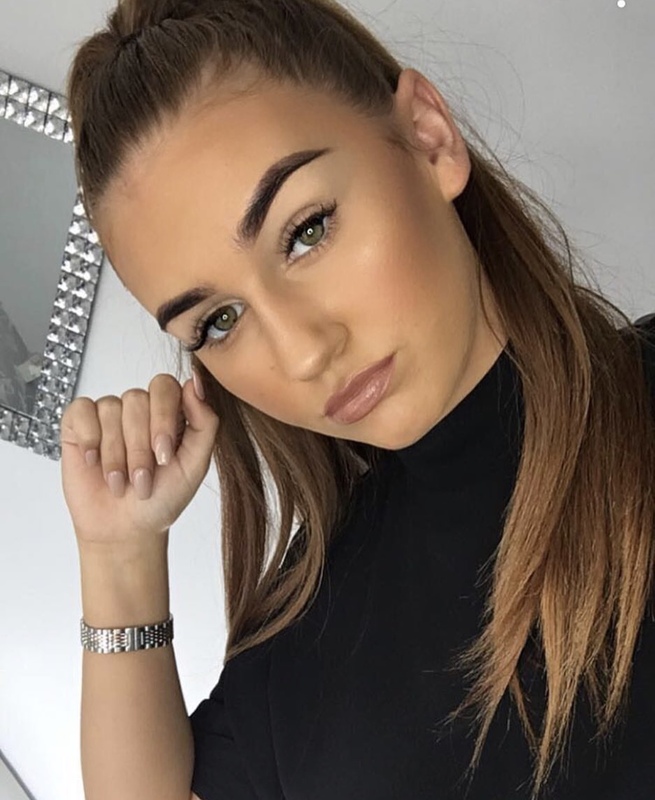 Hope you like this makeup look let me know how you incorporate a pop of colour into your makeup! See you soon! 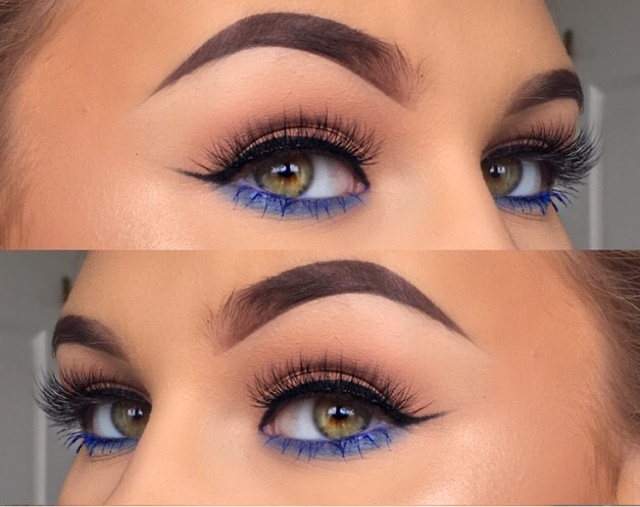 Love this makeup look, the blue looks gorgeous!